This offering consists of a range between 0.13 carat to 0.21 carat, 2.85mm to 3.40mm in diameter. Each designed & cut to vintage style faceting & proportions as were larger important Asscher Cuts back in the earlier part of the 20th Century, mainly around the Art-Deco era when geometry design was at an all time rage. Noticeable are their higher crowns in conjunction with their small tables, wider step-facets and corners which are responsible for their “old charm” feel & character. Each Diamond also consists of an open (albeit polished) culet creating the kozibe optical effect such early cuts were famous for. Surprisingly, even for such miniature Asscher Cut Diamonds, the visual effect is noticeable and will appear completely different than modern type square emeralds. Our motto is to bring to market beautiful, unique and specialty cuts. 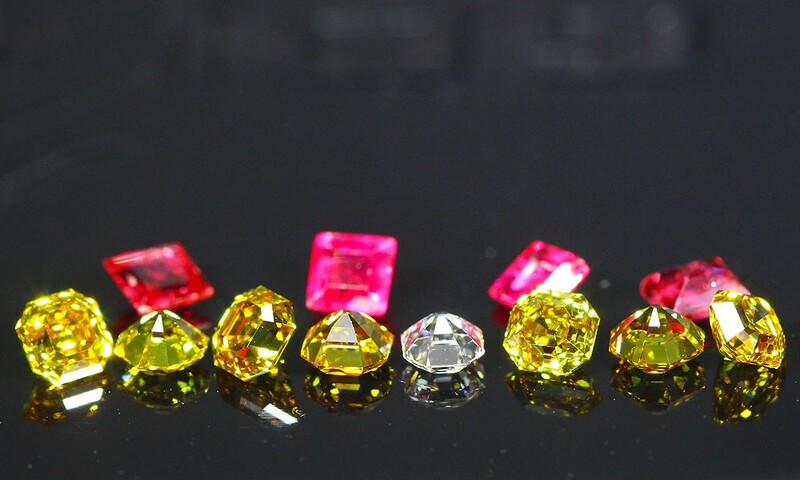 Our Gem descriptions firstly try to let you envision the beauty of the Gem and its attributes. 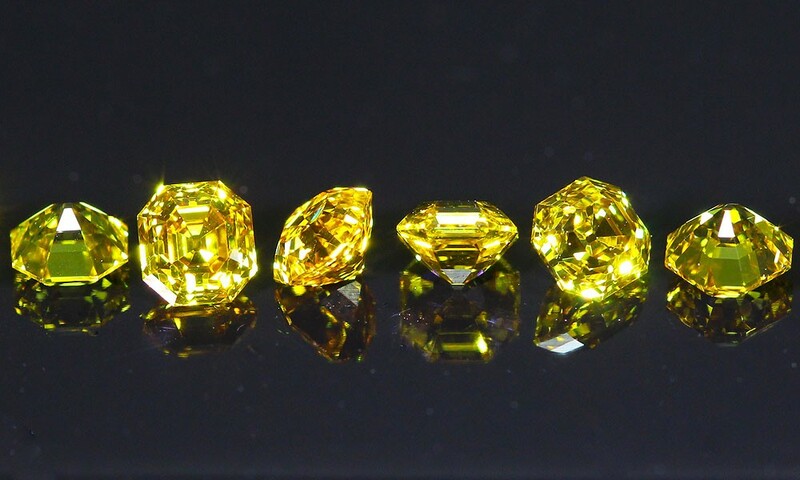 On non-Laboratory graded Diamonds we try to relay our grading estimations as realistic as we can, any client who wishes to have the Diamonds graded by GIA Laboratories we will be happy to submit for grading. We are aware that gemological information is important to our clients so we offer grading reports as a supplement only. We do not guarantee any of its gemological conclusions or grading.